Let your tongue become your work of art with Crayola branded "Color Your Mouth" candy! 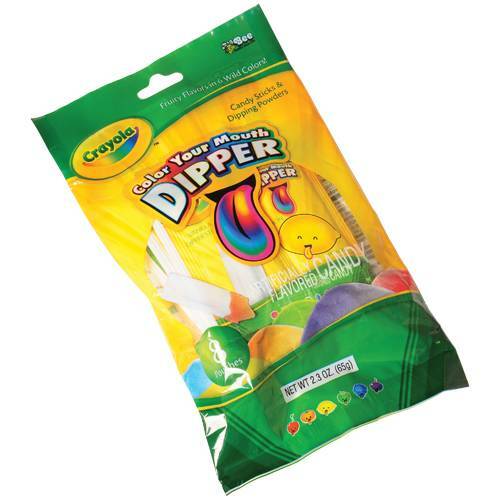 These fun dippers come in an assortment of flavors with a vanilla dipper stick. A delightful treat for the young and old. 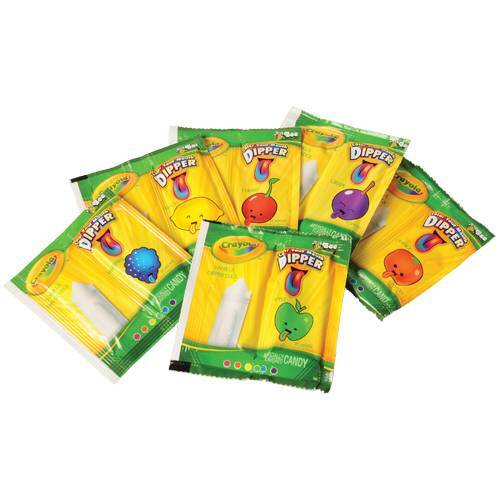 Great for brightening up candy buffet tables as well as your mouth! Clearance-priced items, glow items, light-up merchandise, and candy are not returnable. All sales final.